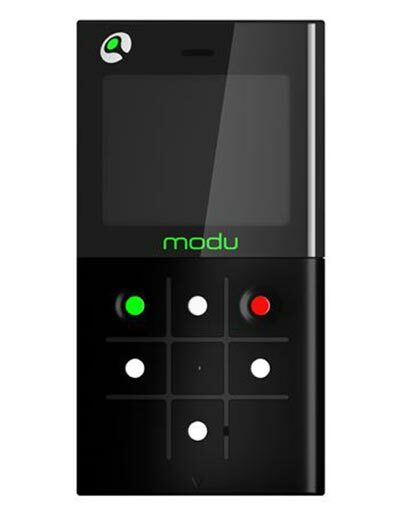 Modu, a modular phone from Modu Mobile has made it into the Guinness Book of Records as the World’s lightest phone, weighing just 40.1g and measuring 72mm x 37mm x 7.8mm, making it one of the smallest mobile phones available at the moment. It has a built in speaker, Bluetooth, MP3 and 1GB of storage and is based on a module with interchangeable jackets that turn the tiny phone into a fully functional cellphone. It will be launched in Europe initially in October, and the US later in the year and should sell for around $280.